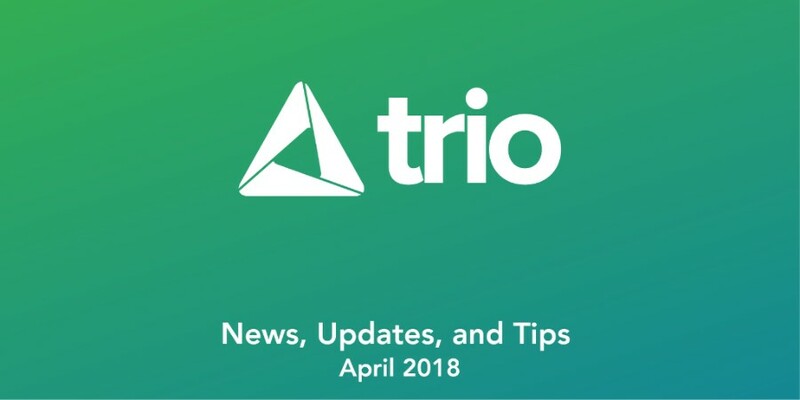 Real Estate's an ever-changing industry and Trio is growing, here are some important updates to stay current, and future news to get excited for! Rather than hiring a paperboy to toss a newspaper on your doorstep, we thought we'd toss this newsletter into your inbox. 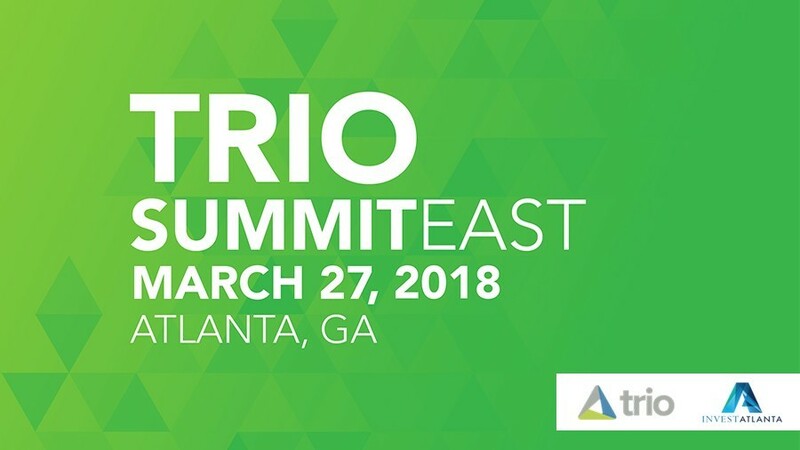 Join us for our Inaugural Trio Summit East event March 27th. There will be opportunities to meet with local builder and real estate leaders, attend clinics during our breakout sessions, and learn more about how Trio can get you into the home of your dreams! We developed our app with clients in mind. 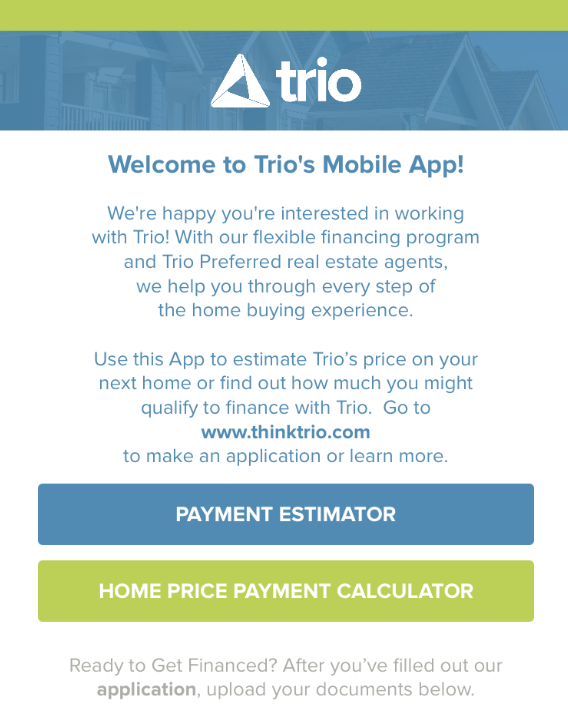 With Trio Mobile you can accurately calculate property taxes, monthly payments, and other costs you can expect when choosing the right home. Avoid costly errors and unexpected payments by getting accurate cost estimates and get into your new dream home! Lending Tree's recently published report shows the average interest rates for loans closed in the U.S. in December by credit score. By breaking down the loan averages by credit score range we're able to see how these interest rates effect down payment amounts. Those with a credit score of 620 to 639 see an average APR of 5% with down payment on average of 23%. Another illustration of the value of Trio – 0% down financing with comparable OwnOption interest rates ranging from 4.5% to 5%. 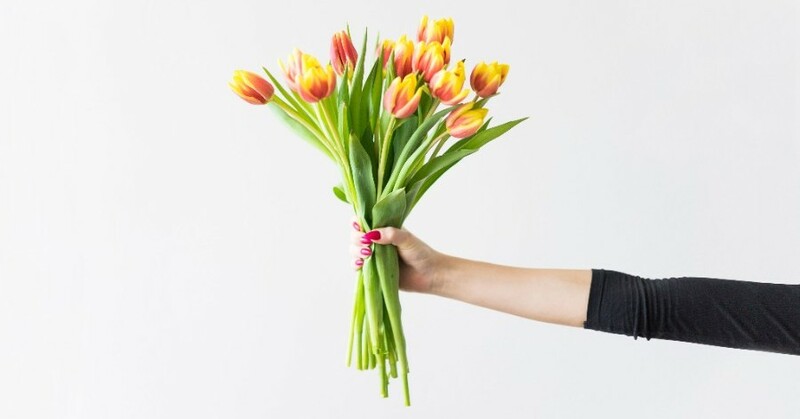 Spring time at Trio headquarters means two things: ramping up for a busy real estate season, and finally opening the doors to let the fresh flower filled breeze sweep through the office! Thank you to everyone who came out to join us at the inaugural Trio Summit East! We had a great turn out of Trio Preferred Agents and customers alike, and we can't wait for next year. We tried taking a lot of selfies at the event, but our marketing guy felt awkward ... so, if you have any photos from the day please share them on social media and tag us! 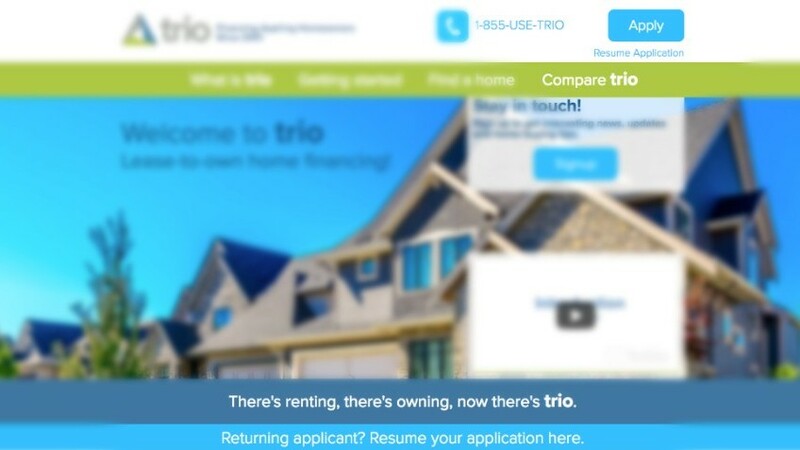 In the coming weeks, look out for a new look to thinktrio.com! "Resume Application" isn't the only thing being updated on the website, the new look and feel will help you quickly find the information you need. Stay tuned! 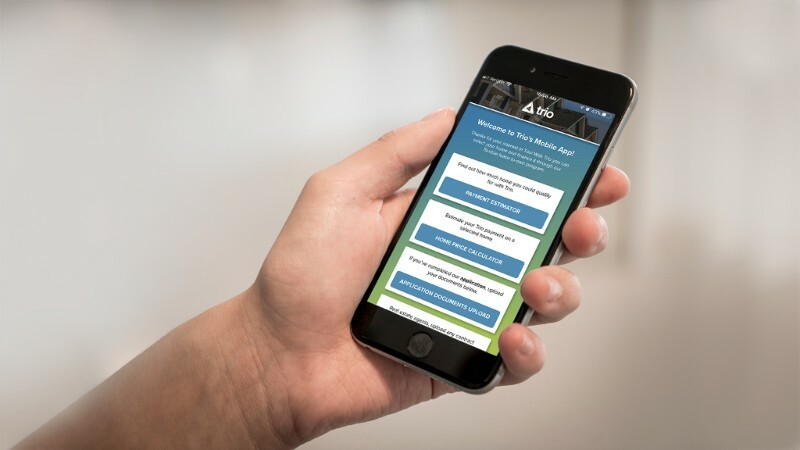 As a reminder, if you're looking for a new home and want to calculate the costs on the go, download our newly redesigned mobile app! Calculate costs in the palm of your hand or upload needed documents for a complete application! One of the best stipulations of Trio is that the house needs to be 10 years old or newer. We don't just want to get you in a home, but a home you can be proud to live in! This will cut down on inspection costs, repair timelines, and ultimately give you confidence and peace of mind. We partner with local builders in Georgia, as well as some national builders! 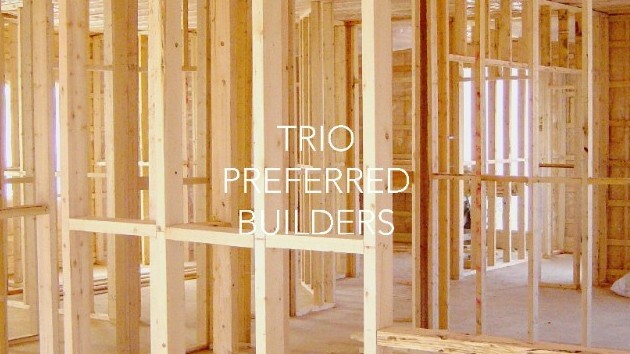 Be sure to ask your Trio Preferred Agent about getting into a new construction home from one of our preferred builders! Our monthly collection of what we've been working on at Trio. Rather than hiring a paperboy to toss a newspaper on your doorstep, we thought we'd toss this newsletter into your inbox. Update! We hired our neighborhood paperboy to deliver this newsletter to you. We keep telling him he doesn't need to bring in his bike, but he insists. If you haven't seen our invite in your inbox, here's an invitation coupled with the details! 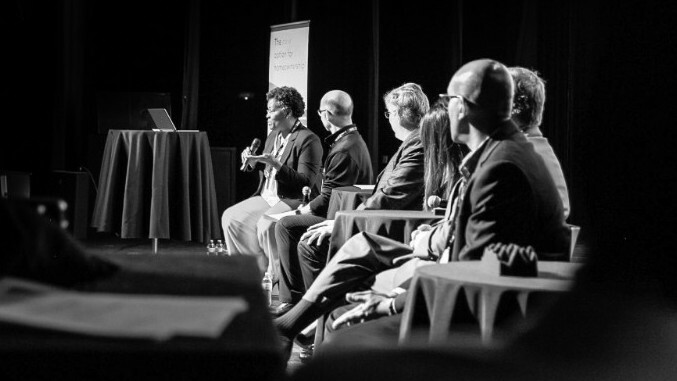 Our inaugural Trio Summit in association with Invest Atlanta will be held at Center Stage in Midtown. Customer registration starts at 4pm and will be followed by a Trio program overview, a panel discussion on Atlanta real estate, and end with workshops with some Trio Preferred Agents! Come get your questions answered so you can transition from renting to owning! If you're still searching through your inbox, here's the link to RSVP. After hearing a lot of great feedback on our Trio Mobile App we not only updated its look, but added the ability to upload documents straight from your phone! No more having to wait to get back to a desktop to upload documents. Now, upload them on the go! It's 2018. So why not get a closing gift to fit the time? Starting March 2018 we'll send all customers who close on their new home a Trio branded Amazon Echo Dot. 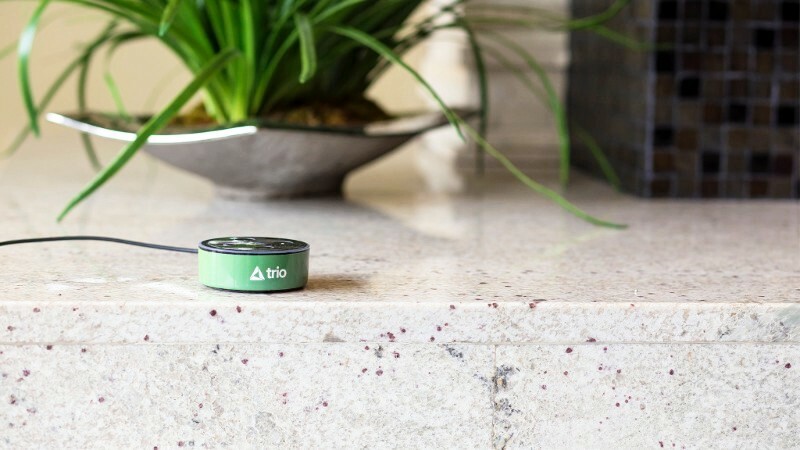 Use it to set a timer for dinner, play your favorite song, or ask her to set a reminder at the start of each month to submit your lease payment to Trio! See what we did there? If you're wondering why these two are being mentioned together, don't worry. I'll explain. We've added a new "Resume application" function! 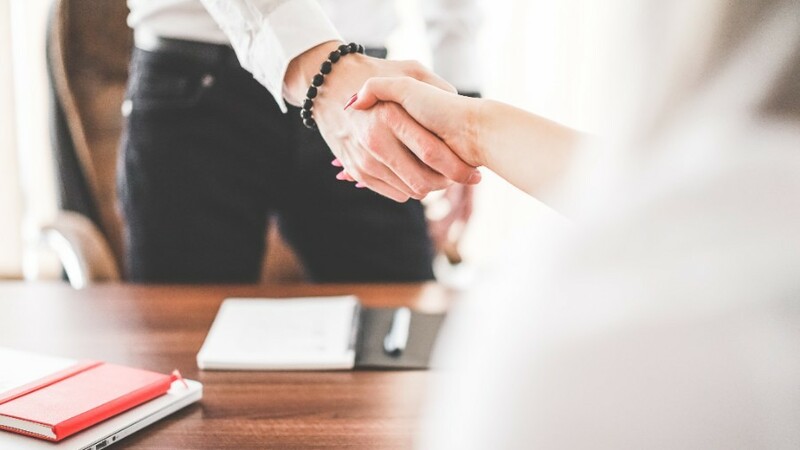 Applying for home financing isn't a small thing. It takes time to get all your documents sorted and crucial info collected to send us your application. To save your progress, you'll need to setup a username and password, which can be used to resume your application at any time! Trio applications and casserole: two great things that can be saved for later! No need to wrap this in aluminum foil. You can't call "dibs" on a house expecting it to be saved under the conditions of present day, that's silly. The house could go off the market. Interest rates might go up. The value of the house could increase with market demand. 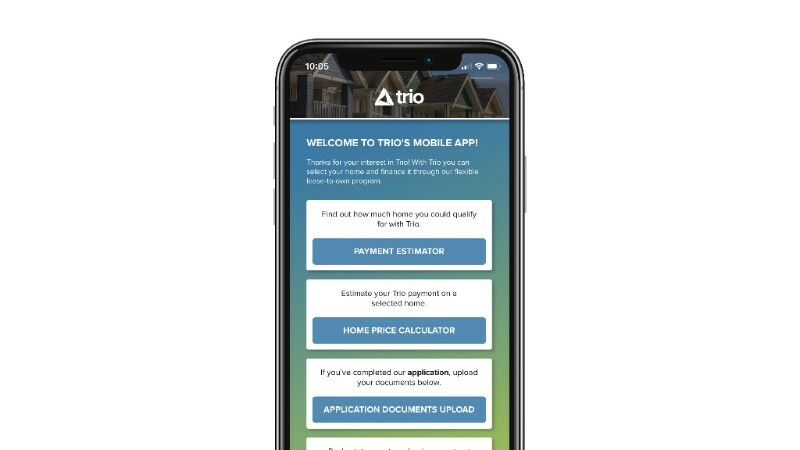 A lot of factors come into play when looking for a home, but in the midst of all these factors Trio's OwnOption let's you do just that*. In January 2018, those with a credit score of 620 to 639 saw an average APR of 5.12% with an average of down-payments on average of 24%. 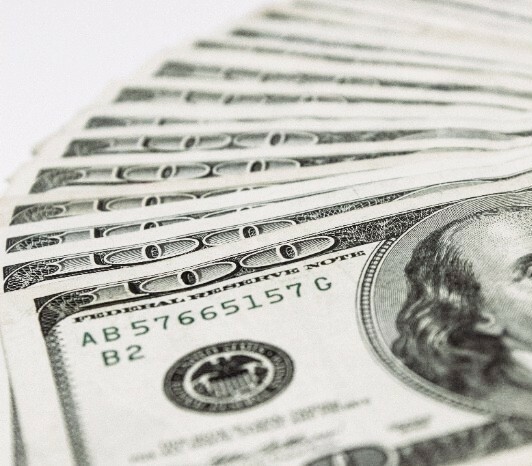 Comparing to the previous month, interest rates went up .1% resulting in an increase of average down-payments. Trio's OwnOption financing let's you lock in those rates before they go up - with a 0% down financing. Check out the full report here. *Trio's OwnOption is a little more complex than dibs. Just so we're clear. Some BIG things happening at Trio HQ! So big, we couldn't decide what to talk about first. 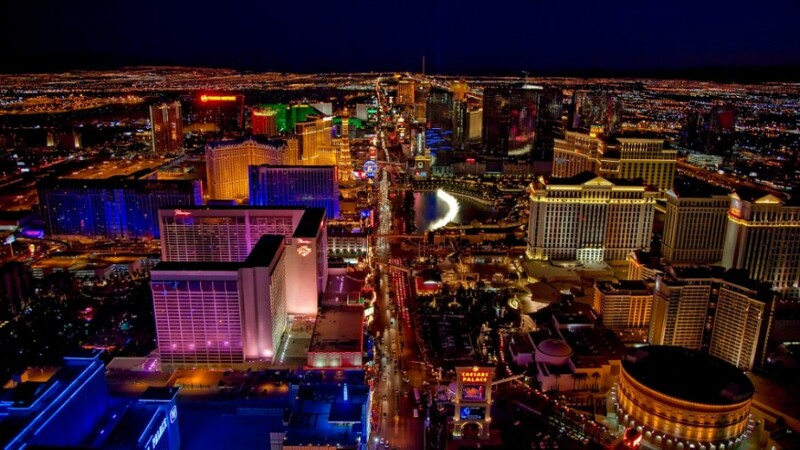 We're coming to Nevada! We're now taking applications for Nevada, and we look forward to helping families transition from renting to owning. We'll be making an official launch announcement within the next 60 days, so stay tuned! 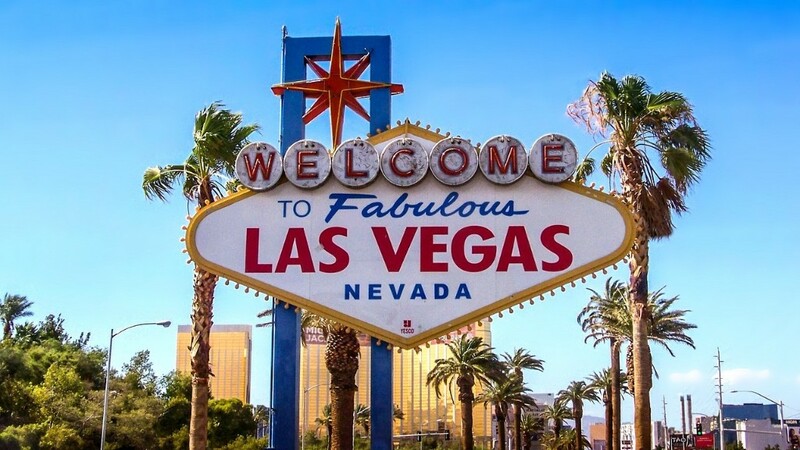 As an introduction to the state, we'll be hosting Trio Summit West in Las Vegas! (Scroll down for more details). 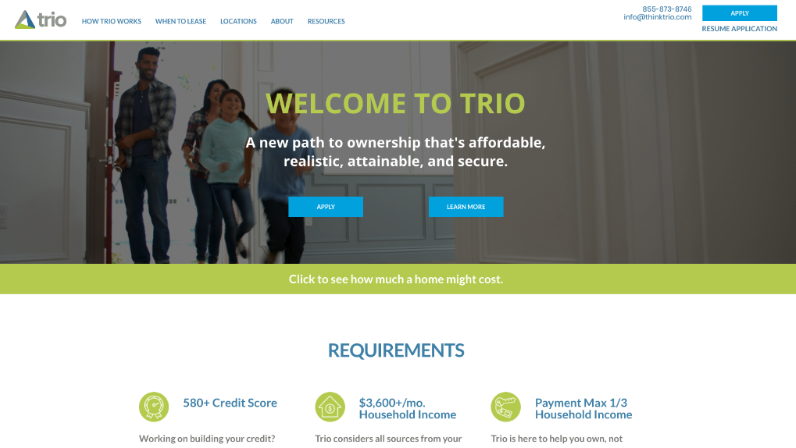 Check out the new look of thinktrio.com! It's not just a new layout, we have some new tools added to the home page and our resources section. Calculate how much home you qualify for and what your estimated monthly cost will be right on the homepage! Not sure if you're ready to apply? Use our self-assessment checklist to ensure you meet all our program qualifications. Visit it on your phone, your tablet or your desktop! Yup! You read that right! 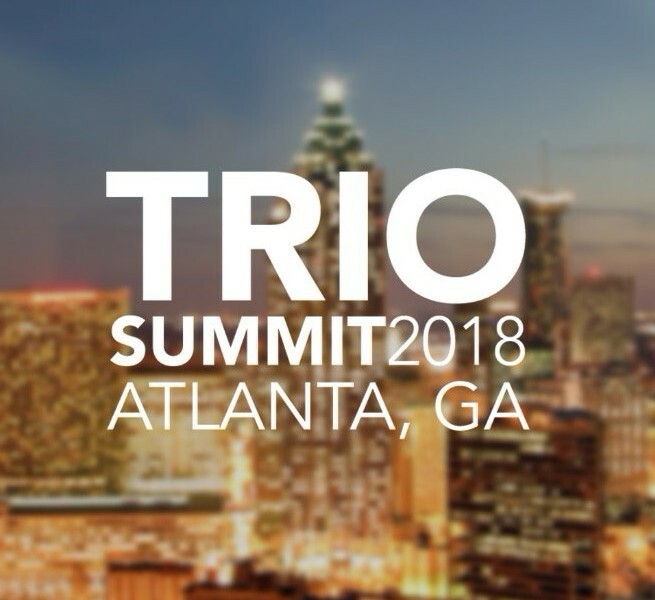 We had a great turn out at Trio Summit East in Atlanta, and now that we're open in Nevada, we're hosting the first summit in Las Vegas! More details will follow as we prepare for the even in the fall. Stay tuned! Hey, these number keep increasing! Lending Tree released their monthly mortgage offering report for March 2018. 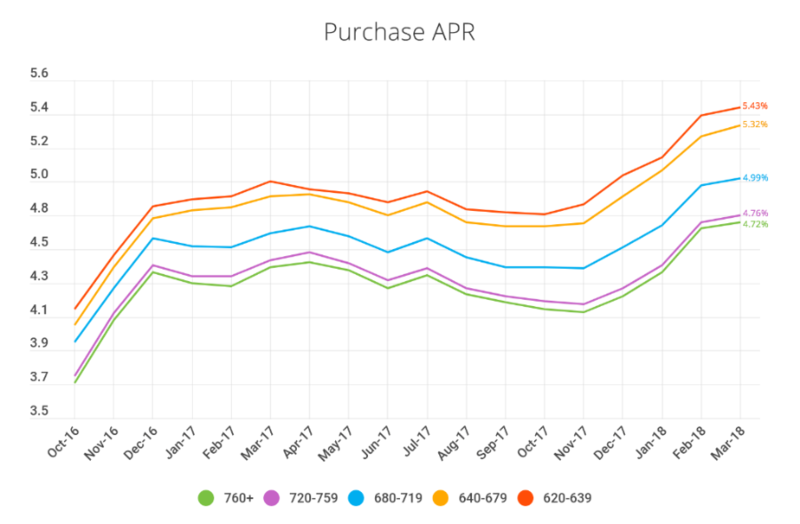 The report breaks down loan averages by credit score range so we're able to see how these interest rates effect downpayment amounts. In March, people with a credit score of 620 to 639 saw an average APR of 5.43% with an average downpayment of 24%. Another illustration of the value of Trio – 0% down financing with comparable OwnOption interest rates ranging from 5% to 5.5%. Check out February's report to compare with March's. 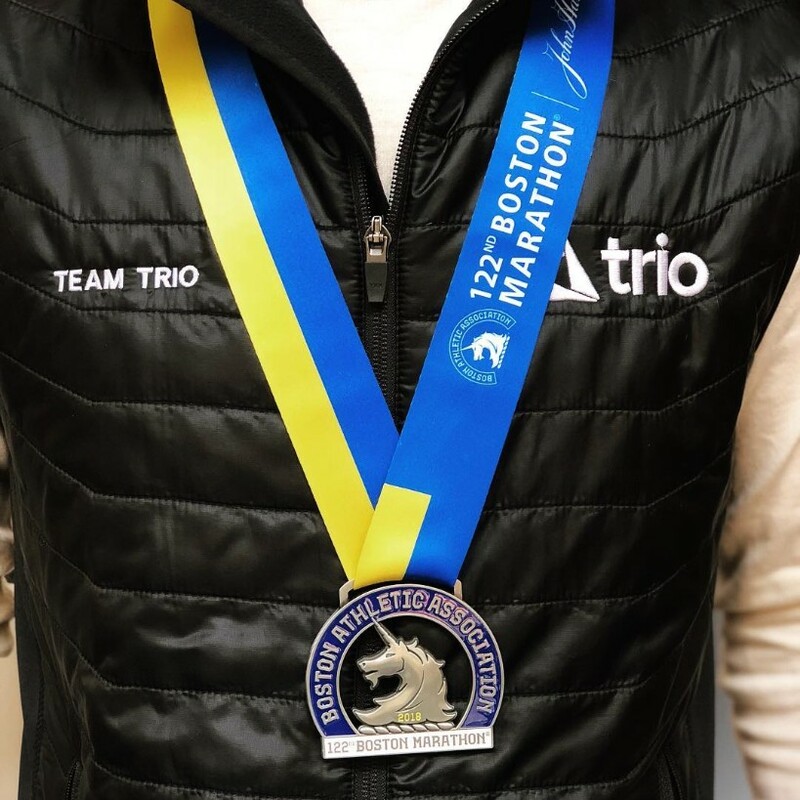 Congratulations to all of this years Boston Marathon runners, and to our Managing Director, Darryl Lewis! This years race was cold and rainy making the race that much more difficult. All of us at Trio HQ are very proud of him, but also glad to have him back in the office!